Giants are rising from this platform this year beginning from this month, as you engage dedicatedly with the instructions of the hour. You will not be an onlooker but a partaker of God’s package for the season. Before this month is over, whatever is still a concern to you, turns for you for a testimony. Those who hitherto mocked you will celebrate with you. A divine idea that will turn your life around forever will hit you this month. Whatever still needs to turn, before this month is over, they become testimonies for you. This is your month, in Jesus' Precious Name, Amen. 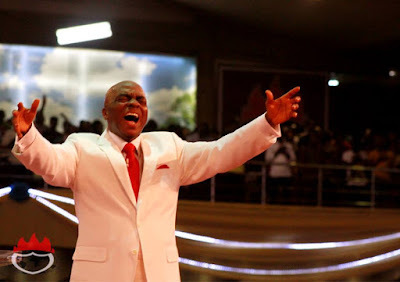 AS I BELIEVE THE WORD OF GOD AND HIS PROPHET, THIS MONTH DECLARATION WILL DELIVER FULLY IN MY LIFE IN JESUS NAME AMEN. AMEN! AMEN!! AND AMEN!!! WHAT A MIGHTY GOD WE SERVE! IT IS MY MONTH AND I HEREBY RECEIVE ALL THESE PROPHECIES IN JESUS MIGHTY NAME!